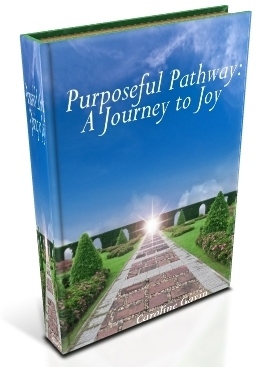 Purposeful Pathway is a haven for heart-centered entrepreneurs. Part of my mission as a Christian Business Coach is equipping heart-centered businesses with information that is practical, actionable and Scriptural. The topic of this biz tip is preparing for your journey by setting crystal clear goals. We must prepare. Before we go on a trip or run a race, we prepare. Before we leave for a trip, we review our finances, mark the road map and research the destinations. Before we run a race, we train, exercise and review the terrain. Preparation is crucial in achieving goals. Yet, when it comes to reaching our goals and having more joy, how do we prepare? Preparation involves reaching clarity about our goals. So, as you set out on this journey, your first step is to write down your goals in a specific, precise way – so specific that you and anyone else will know without a doubt when you have reached your goals. In light of this, writing down vaguely “I want to earn more money” is not a specific goal. 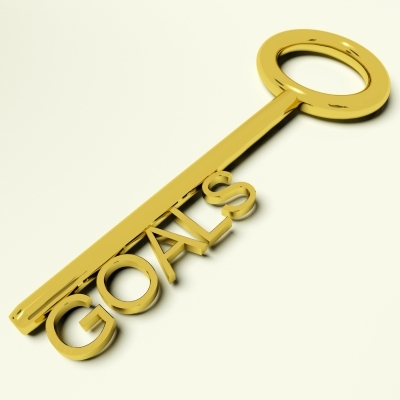 Format your goals according to the well-known acronym SMART: specific, measurable, attainable, realistic and timed. With as much detail as possible, describe your goals in all areas of life, spiritually, mentally, physically, emotionally, financially, relationally and vocationally. You may have others; certainly do add others to this list but be sure to include these fundamentals. As you are setting your goals, ask yourself what do you desire your spiritual life to be six months from now, a year from now, five years from now? Involve all your senses. What does it look like? What does it feel like? What does it smell like? What does it sound like? What does it taste like? What will you do in your career? How much specifically will you earn six months, one year, five years? What does your ideal work day look like? Involve all the senses…and work through all areas of life. Make goals that excite you, goals that stretch your comfort zone; it is important to make goals based not on what you see around you but rather on what God has put in your heart to desire. If you know you are living in alignment with God’s will and that your goals glorify Him, then trust His promptings. Psalm 37:4 says, “Delight yourself in the LORD and he will give you the desires of your heart.” When we live for God, He gives us the desires of our hearts; when He is our all in all, the desires in our hearts are His desires. If you are feeling uncomfortable and excited by your goals, please trust that is a very good sign; again, the discomfort is a sign of stretching, of growing. This step of preparation is crucial; I encourage you to take the time to write down in detail your goals with crystal-clear clarity. The simple act of writing down your goals, studies have shown, makes it ten times more likely for you to achieve them. Clear at least an hour of time, and write in an inspiring space if possible. This one step alone will allow you to achieve more, as being clear will wipe away the distractions that keep you from working toward your goals. This one step alone will also bring joy, as having a clear vision of where you are going – for God’s glory – ignites a fire in the heart; we are created to bring Him pleasure. Revelation 4:11 states: “Thou art worthy, O Lord, to receive glory and honour and power: for thou hast created all things, and for thy pleasure they are and were created.” When we live to please God, we live our true, eternal purpose, and thus we live with joy. What success stories do you have with setting crystal clear goals? What have you learned in the process? Interested in paving your own purposeful pathway? Contact Caroline Gavin via caroline@purposefulpathway.com for a Free Christian Business Coaching Consultation. I have used the SMART method in the past, but it has been my experience that this is not applicable in every situation. In fact, I found it to be very detrimental. For example, when I started writing “The Bible in 7 Pieces”, I had a deadline (many deadlines) and each time I missed that DEADline, I became frustrated and a bit defeated. In fact, having a deadline stole the joy of the process. I like setting goals, writing them down, creating visual reminders, etc., but it’s best for me to hold my goals “loosely” and keep reminding myself that God’s will and timing is perfect. Thank you very much for your insightful comment, Marianne! I agree: as much as structure is helpful in achievement of goals, it is beneficial to leave space for grace and to make room for miracles. In doing so we experience the peace and joy of allowing God’s plan to unfold…with His treasures untold! I am so grateful for you and all you do for His Kingdom! I like that — space for grace and room for miracles. Good advice! Thank YOU for your wonderful (and Spirit-filled) wisdom, Marianne! !